I’M A JUICER. I’ll say it straight up! Well not physically… but I juice rather than blend. I have been for years, decades in fact, and I always will be. Is what I do right or wrong, and in fact is there a RIGHT or WRONG! I really enjoyed researching this one as it seems the answer is so uncomplicated! ThankU universe! SO I’m hitting the conclusion FIRST….because I CAN ! 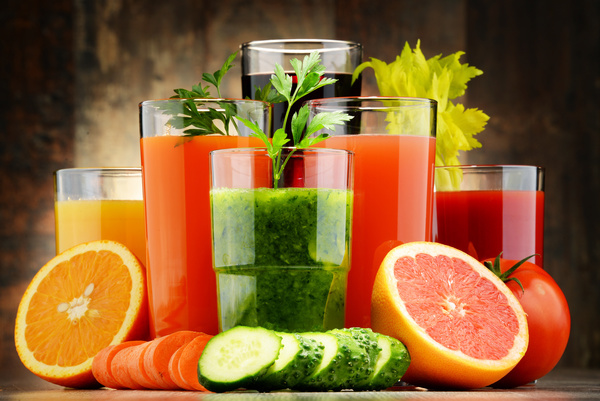 Both JUICING and BLENDING are beneficial to assisting with a healthy mind body and soul… JUST in different ways. It is the ‘6 of one and half a dozen of the other’ scenario. It comes down to your personal preference. the process of extracting the water and the nutrient from produce…fruit and veges. it is said AVOID mixing fruits and veges!!! with apples being the exception. The short story….combine, and it’ll cause fermentation and GAS. really quick and not messy, relatively speaking. because of the dual fibre content there is a slow, even release of nutrients…..you should stay fill for longer. not really the best choice if you want to detox as it doesn’t take the pressure of your digestive system. TRY to consume within 15 mins. Due to oxidation and light the nutrients will be destroyed. HOWEVER air tight, dark containers will minimise this process but it won’t eliminate it. Use the best equipment : juicer and blender wise. You buy cheap you will get an inferior juice or smoothie. If price is a buying point for you then just start and upgrade when you can afford it. Lets be honest and I’ve said this before, something is better then nothing. I will be upgrading to a cold-press juicer as I have just discovered that they have come down in price and are a lot more affordable. does it or does it not matter? It turns out that whether you juice or make smoothies, you will still get some fibre. Soluble fibre absorbs water in the intestines, forming a gel that helps slow the transit of food through your digestive tract. It also acts as pre-biotic to support healthy bacteria in the gut. Everyone knows that we all need to eat more veggies and fruit. But only 7% of most people’s caloric intake comes from plant food. But how do you do it in a way that fits into your daily life? The answer: juicing and blending. So no matter which one you choose, they will both help you dramatically increase your veggie and fruit intake.